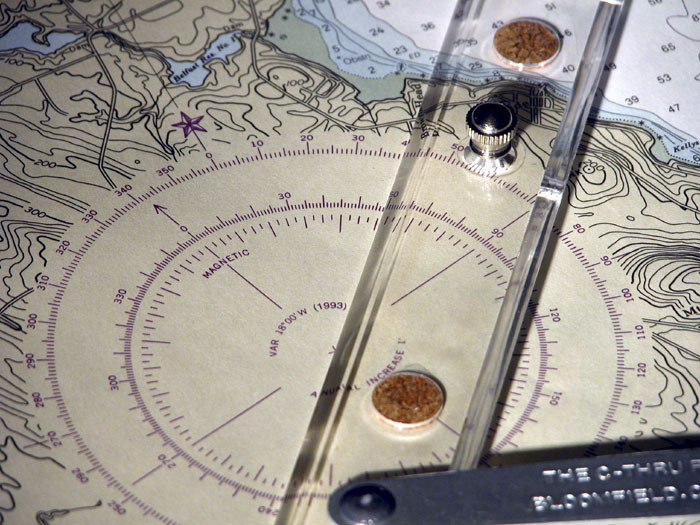 After "walking" the parallel rules across the chart to the nearest compass rose, the magnetic and true compass bearing from one buoy to the next is read on the compass rose. The first step is to find the green gong buoy off Sears Island and the red and white bell off the northwest corner of Islesboro Island, the course to be plotted. Parallel rules are set along that line. The Hadley quadrant was developed by John Hadley in England and by Thomas Godfrey in Philadelphia, both in 1732. 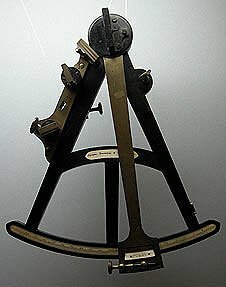 The Hadley design took precedence and became the stock celestial navigation tool well into the 19th century, due to its simplicity and lower price than the more modern sextant. As most celestial navigation in the age of the Down Easter centered around sun sights and occasional lunar distances, there was not great need for owning a more expensive sextant. 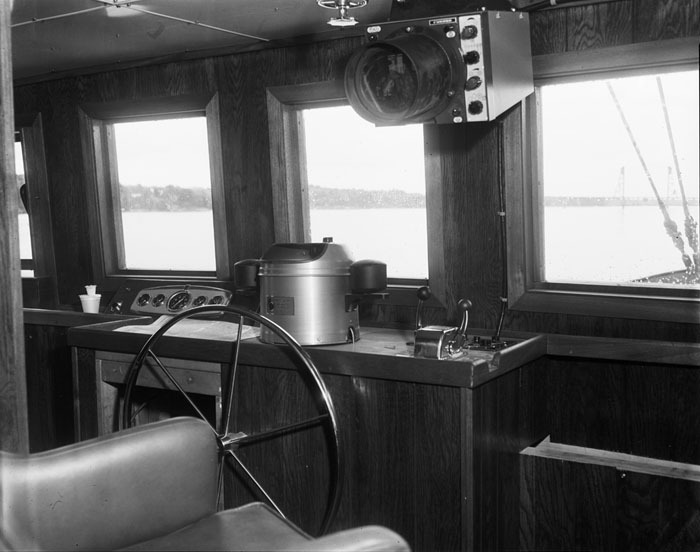 Because the ship’s chronometer was normally stowed in the cabin in a safe and well-supported environment, times for celestial sights were taken from the chronometer watch. To ensure accuracy, the time on the chronometer watch was compared with the time on the ship’s chronometer before and after the sights were taken. 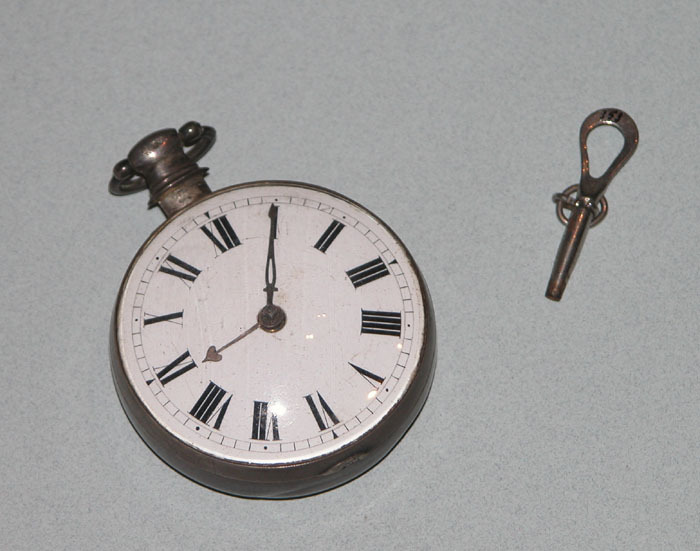 This watch, whose maker may have been active in the 1770s and up to about 1820, belonged to Captain Charles Gordon of Belfast. Mechanical depth sounder, which works like a log, with a spinning impeller measuring depth as it drops through the water column. A release keeps the impeller from turning as the sounder is pulled back up. 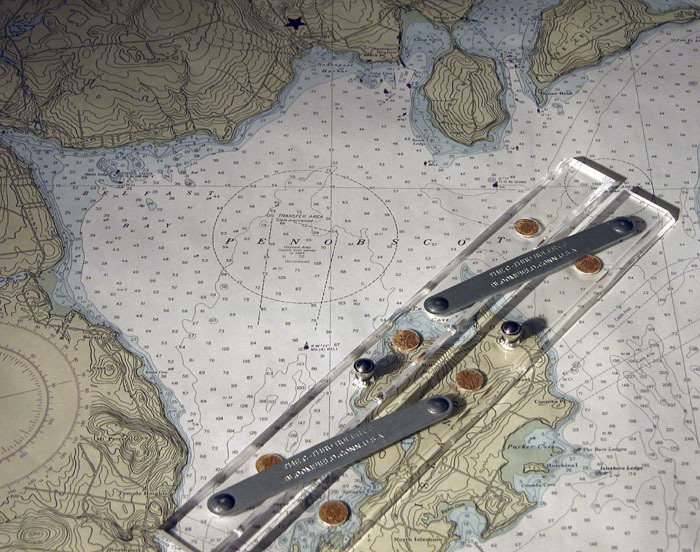 One gauge measures from 2 to 30 fathoms and the other from 30 to 150 fathoms. Like the patent log, this was also invented by Walker. Patent number 8486 G is engraved on the sounder. 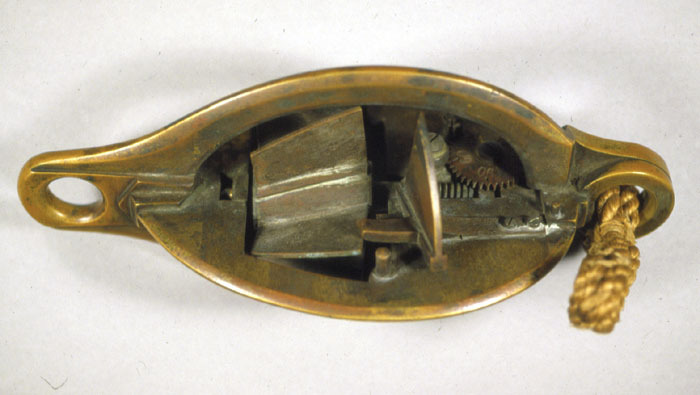 This mechanical log tells the distance the ship sails through the water by recording the number of times the five-finned section of the mechanism turns. 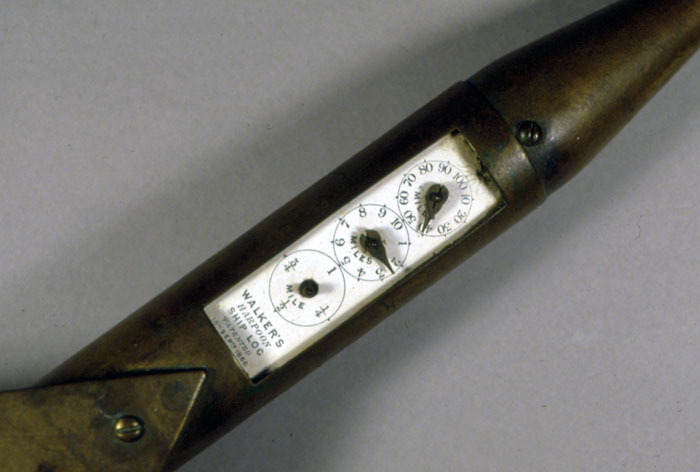 The indicator shows nautical miles sailed, in hundreds, tens, and ones. The log was towed astern of the ship and hauled in for readings. Though not perfect, the harpoon log was significantly more accurate than the traditional chip log and sand glass. 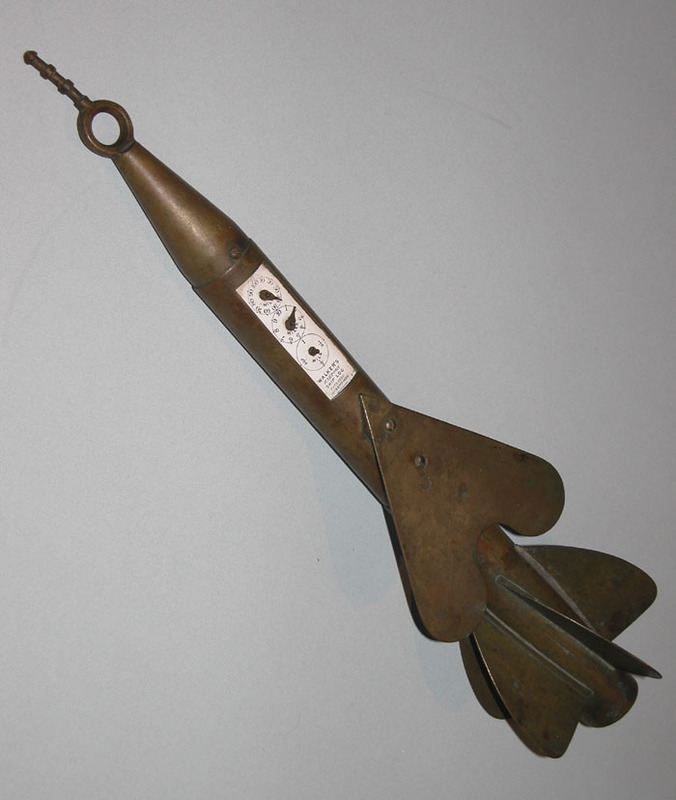 This instrument was patented September 18, 1866. 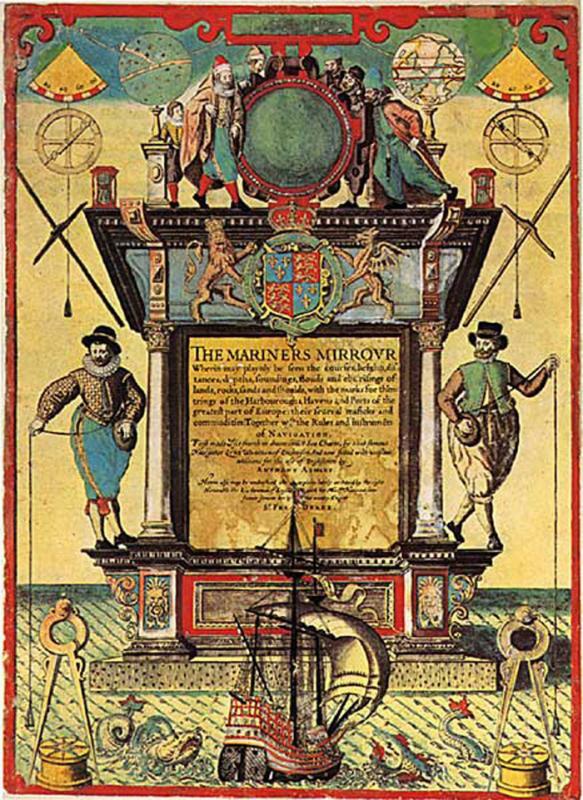 The Mariners Mirrour was the English translation by Anthony Ashley of the Dutch Spieghel der Zeevaerdt by Lucas Janszoon Wagenaer. Published in 1588, it provided, within a single book, a treatise on navigation, sailing directions, and the latest charts for most of Europe. It was so important, and its Dutch creator so well recognized that these types of navigational publications became known in England as "Waggoners." 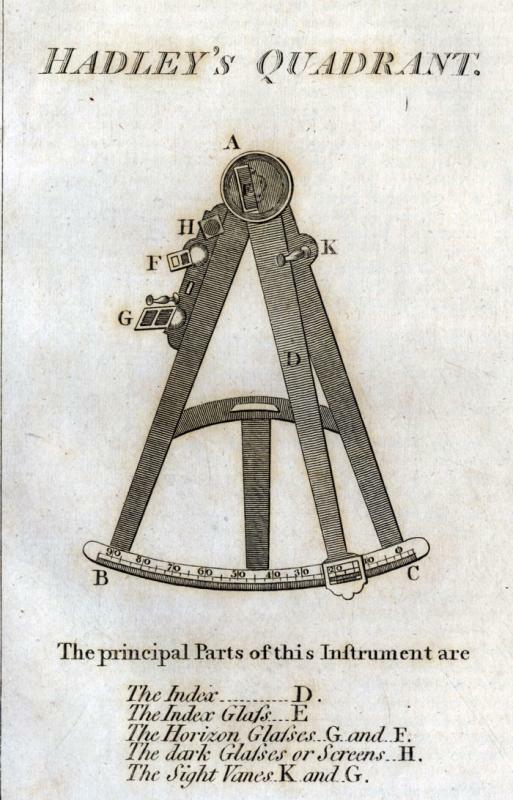 Though the first sextants were built by the 1790s, most navigators were still used a Hadley's Quadrant, or Octant, up into the middle of the 19th century. The quadrant's legs subtended a 45 degree angle, but with the double reflecting system enabled measurement of angles up to 90 degrees. 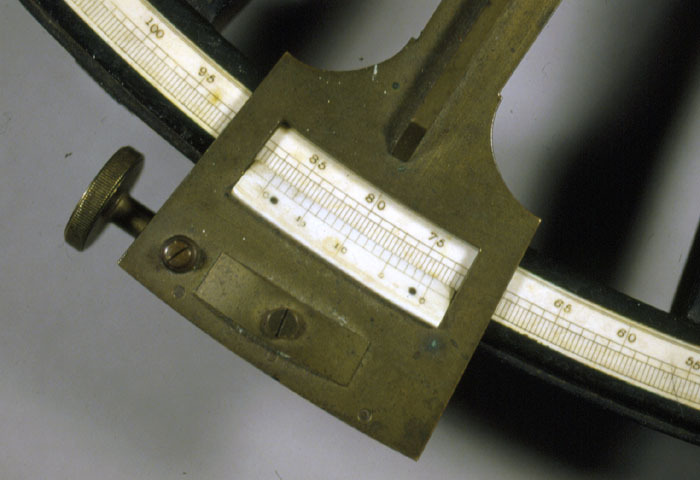 The sextant could measure angles up to 120 degrees. 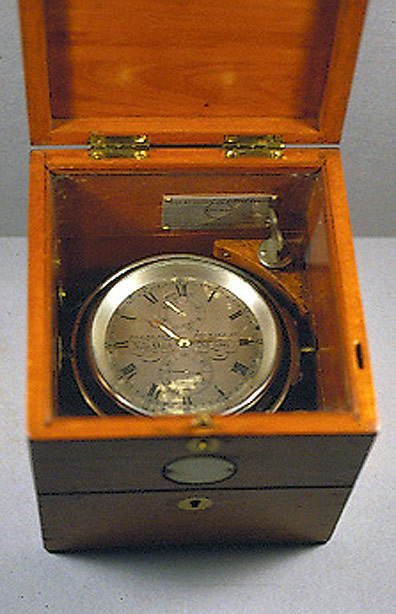 Box chronometer, used in navigation to find a ship's longitude at sea. Made by T.S. and J.D. Negus, No. 586. 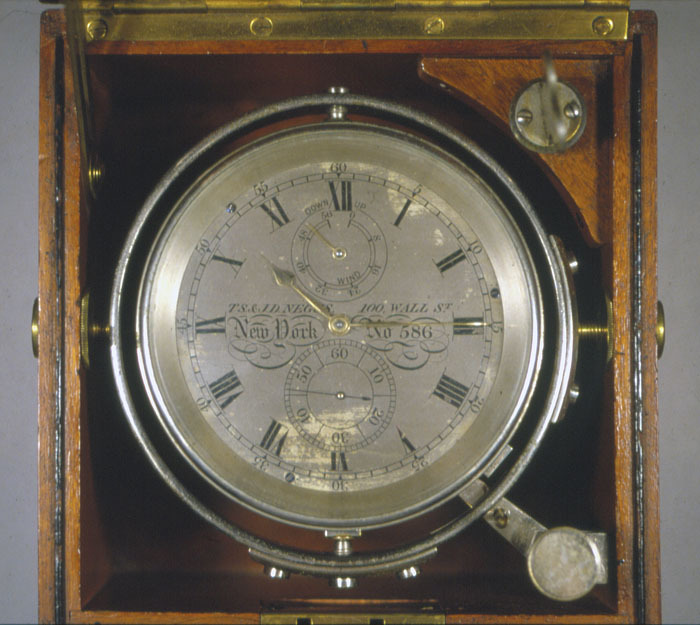 An immigrant, Thomas S. Negus began making and selling chronometers in New York in 1848. In 1864, 100 Wall Street was listed as its location, and it became Thomas S. and John D. Negus in 1869. The company continued into the 1960s. Down Easter captains bought these if they could afford them.